With over 4 million tuning in per episode of The Great British Bake Off, and cake baking books topping the best-sellers list, the British are embracing baking like never before. 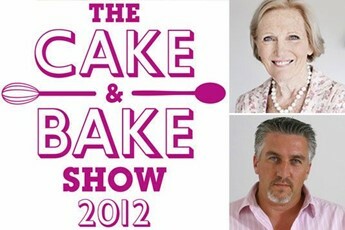 For the First time ever the UK is holding a Cake & Bake Show, launching at Earls Court in London. A two day extravaganza, held September 22nd and 23rd the show is aimed at both those that love baking but also foodies who love eating. On offer are expert-run workshops, exhibits of the latest baking equipment as well as an artisan marketplace that will include breads, scones, pies, brownies, pastries and of course, cakes. The event features baking experts and Great British Bake Off judges, such as AGA expert and food writer, Mary Berry, and English celebrity baker Paul Hollywood , to name drop just two! Tickets are available now and in advance at £12.50 adults, £10 concessions (OAPs and students), and £5 for children aged 5-12 (free for under 5s). Weekend tickets can be purchased for £18.